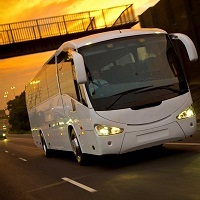 We are a renowned name in the tourism industry and provide the unbeatable service of the luxury buses on a rental basis. This service is applicable across Delhi-NCR. Driven by the licensed chauffeurs, our luxury buses are well-maintained, have the alluring interiors, and equipped with the chemical washrooms for the human waste disposal. Thus, world-class comfort is guaranteed and we are a name on which you can lay your money on. Contact us today for availing the luxury bus rental service.